North Korean athletes at the Asian Games miss ailing supreme leader Kim Jong-Un so much that they held a special meeting to sing their loyalty, state media said Sunday. One gold medal weightlifter read a poem he had written for the young supremo at the “Night In Longing For Dear Leader Kim Jong-Un” on Saturday, reports said. The meeting was held after the North’s media said Kim was suffering “discomfort” in a rare admission of his health problems. 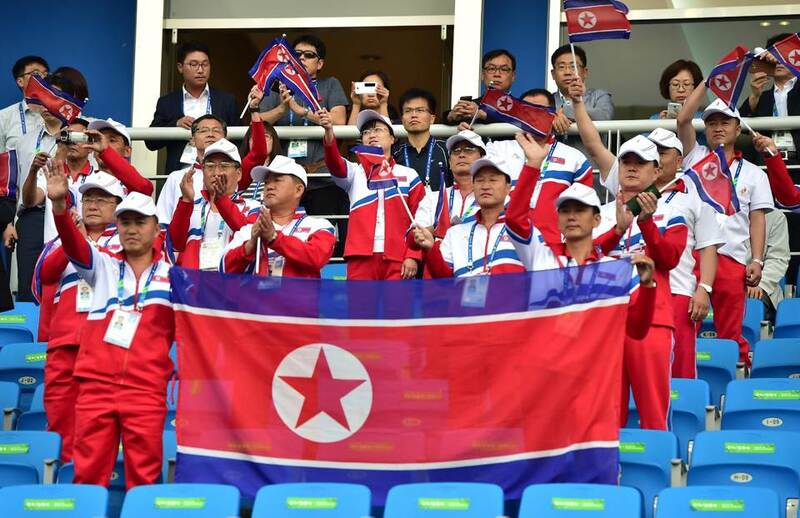 A total of 273 North Korean athletes, coaches and officials are at the Asiad at Incheon in rival South Korea. The delegation is rigidly controlled by North Korean minders and guarded by hundreds of South Korean security service agents. Kim Yong-Hun, the North’s sports minister, told the meeting all delegates were missing the young leader “day and night,” state-run Korea Central News Agency (KCNA) said. Kim earlier credited the leader for helping cure his injury and shatter three world records to win gold in the 62kg class. The North has so far won 25 medals including eight gold medals — half from weightlifting. The Kim dynasty has ruled the isolated, Stalinist country for more than six decades with an iron fist and pervasive personality cult. Kim Jong-Un, who took over as ruler from his late father Kim Jong-Il in 2011, is known to be a sports fanatic, showering its star athletes with lavish cars and apartments.